Listening to Internet radio was up 50% last year, according to AccuStream Research’s updated report. Nearly 80% of that listening is to Shoutcast and Pandora. More than 40% of all listening last year was to mobile. Streaming audio ad and subscription revenues were up 64% to $465 million, with the ad spend surpassing subscription revenues for the first time, according to the report. For years, Paul Palumbo at Accustream Research has provided a comprehensive look at the Internet radio marketplace, focusing on total listener hours, ad units, subscriber numbers, and revenue as reported by the services themselves and by content delivery networks. I like the report because it gives a high level overview from a completely different angle, more closely resembling a Miller Kaplan type market report. And while some of the findings diverge from other available data, it’s remarkable how similar the snapshot is in the end. AccuStream Research’s Internet Radio Listening and Monetization Analysis includes a lot more detail, with specific data on all the major services and interviews with industry business leaders on both the content and support side. For more info on that report, click here. The stage is set for RAIN Summit West in Las Vegas on Sunday April 15th to be one of the best RAIN Summits ever. This year’s event will take place at LVH – Las Vegas Hotel and Casino, formerly the Las Vegas Hilton, which is adjacent to and attached to the LV Convention Center. RAIN Summit Las Vegas is an education partner of the NAB Show. The program is a good one – designed to examine and discuss many aspects of the Internet radio and digital audio marketplace from a business perspective. Panel discussions will focus on programming, revenue and planning strategies in a format that allows competitive businesses to sit together on stage to discuss, agree and disagree while sharing ideas with the audience. The day will feature a keynote speech by Traug Keller, SVP at ESPN Audio, one of the most successful digital audio platforms. Under Keller’s leadership, ESPNRadio.com became the most listened to live stream of any terrestrial broadcaster in the world, reaching more than three million unique users per month. His insights are sure to be informative. There’s a long list of other interesting panelists, and at the risk of leaving someone off the list, here are a few names: David Carson, US Copyright Office; Jim Cady, Slacker; Jon Mitchell, Spotify; Jim Lucchese, The Echo Nest; Tim Murphy, Entercom; Steve Jones, ABC News; Steven Kritzman, Pandora; Sandhi Kozsuch, Cox; Michael Robertson, mp3Tunes; Larry Rosin, Edison Research. And lots of other smart folks. Did you read that list? Hopefully you noticed the best thing about it – that RAIN Summits is a discussion that includes every side of the Internet radio conversation. From streaming broadcasters to online only platforms, straight up simulcasts to on-demand and personalized services, it’s all part of the discussion at this event. Lots of smart talk, dynamic agreement and disagreement. That’s how an industry evolves. A new feature this year at RAIN Summits will be POVs – short talks by industry leaders on the same topic. This year the topic is “Redefining Radio” and we’re looking forward to hearing what Triton CEO Neal Schore and Liquid Compass CEO Zackary Lewis, among others, have to say on the topic. We’re still looking for a third POV speaker, so if you have an idea of who you would like to hear from, let me know. In the meantime, if you haven’t already made plans to attend, now’s the time. The complete agenda and growing speaker list for RAIN Summit West is available here, and right now you can register for $99 including lunch and cocktails, and all registrants can save $100 on an NAB registration and get a free exhibit floor pass as well. RAIN Summits are the best educational and networking events for our industry – providing a full day of programming and plenty of opportunities to meet people. I hope I’ll see you there! Pandora reported 4th quarter 2011 and fiscal year results during a call tuesday afternoon, during which they highlighted huge gains in revenue and audience last year. Fiscal 2012 revenue of $274.3 million grew 99% year-over-year and total listener hours of 8.2 billion grew 109% year-over-year. Total revenue was $274.3 million, a 99% year-over-year increase. Total advertising revenue was $240.0 million, a 101% year-over-year increase. Total subscription and other revenue was $34.3 million, an 87% year-over-year increase. Pandora now has 47 million active users and 125 million registered users in their database. These are impressive numbers by any account, Pandora’s ability to grow audience seems endless. Advertising revenue is growing only slightly more slowly than audience. 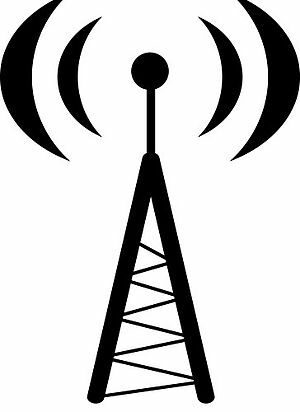 But despite all of that, profitability is eluding them, fortifying some who argue that Internet radio’s basic model, which has a high per play performance royalty, will be impossible to monetize. “Pandora put up impressive numbers but the royalty treadmill will always match their speed making them unable to ever get to profitability.” said digital music entrepreneur Michael Robertson. At one point during the Q&A, Pandora CEO Joe Kennedy talked about Pandora’s need for audience measurement that is more like radio station measurement that is integrated into ad planning and buying software by Donovan and Strata. He said Pandora is working with Triton to accomplish that. In answer to another question about Pandora’s mobile listening, Kennedy said that they still see about 70% of their audience on mobile, but that number is edging up and they expect that trend to continue. Pandora’s ability to monetize their mobile ad units will continue to be a measure of their success.